Fancy a change like Beyonce?? 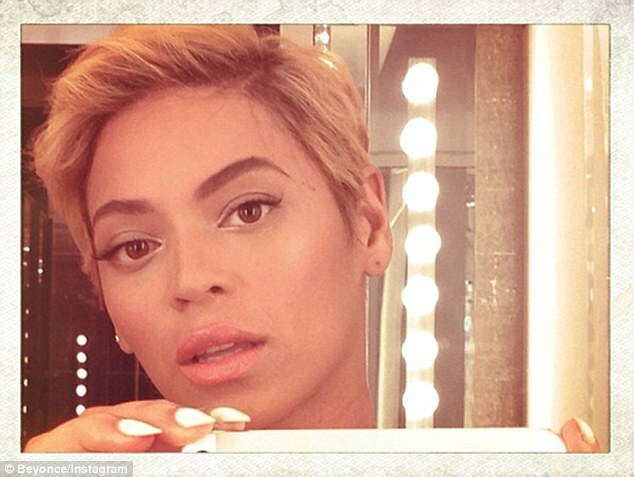 It was all over the media this week when Beyonce posted a selfie with shorn locks! Gone was the mass of blonde waves we all know her for and in their place was a short, pixie style haircut. Now this pixie hairstyle has been very popular over the years with the likes of Emma Watson, Natalie Portman, Anne Hathaway and of course Halle Berry all championing this ok. I thought it so very brave of Beyonce to go all the way with this look because I also have really long hair and it becomes a comfort blanket at times and a curtain to hide behind if necessary as well. With really short hair, you are so exposed! There’s nowhere to hide! Your skin needs to be flawless and a petite, slim jawline is a must to sport this look in order to maintain an air of femininity. I also applauded Beyonce for trying something different, especially now that she’s a working mum, surely having less hair to style each day is bound to be a relief, right? BUT alas, within days Beyonce must have felt the overexposure of her scalp just a tad too much to handle as a photo emerged today of her showing a short cut at the back with longer layers at the front. I’m really disappointed. I think this look is ghastly! It’s neither here nor there and the hair looks in really bad condition. In fact, Giuliana Rancic from E News had a similar “non-descript” hairstyle recently which I’m glad to say she has changed to a sleeker, more groomed bob. I think where hair is concerned you need to go either long or short with a definitive style and shape to the hair. Beyonce this new look is so blah honestly and looks really untidy and dare I say it not becoming of a DIVA!! Please change it immediately!! !